Not being able to understand the meaning of a dream can be the cause of a great frustration. Let us put an end to that frustration, by listing some dream symbols with letter L and their interpretations. A lamb is most often considered as one of the gentlest and purest animals on earth. In the Jewish culture, a lamb was killed and burnt to cleanse the individual, performing this ritual for his sins and transgressions. It is inspired by this understanding that seeing a lamb in a dream speaks of a state of purity and holiness. It also speaks of a meek personality. Some possible scenarios with dream symbols with letter L might be: seeing a wounded lamb, seeing a lamb with stripes, and seeing someone as a lamb. Seeing a lamb with a wound indicates that you have been emotionally hurt because you are so kind and gentle; it could also mean that you have hurt someone around you, but the person is so gentle to tell you that. If you see a lamb with stripes, it talks of hypocrisy: you or someone around you is pretending to be somebody they are not. If you see someone as a lamb, no matter what the person is actually doing, he or she has pure ambitions. A lamp was mostly used in earlier ages to see in the dark. The interpretation of a lamp will still hold if you instead see light. A lamp in a dream speaks of direction, since the lamp was used to move in dark areas. You can see a lamp under various circumstances, each of which will have its own interpretation. For instance, a broken lamp in a dream means that you have what’s needed to make the right choices in life, but you still need to make a little effort. Be a little more careful and you will figure it out. In case you see a bright and shining lamp, it means you should stop worrying about what you ought to do. What you have decided to do is the right thing. A ladder is generally used to reach heights that we cannot reach in our normal state. 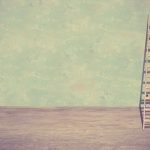 Seeing a ladder in a dream speaks of what you need to reach your objectives or goals. You might see a broken ladder or full ladder, or you might see yourself climbing a ladder. Each of these scenarios has a specific meaning. If you see a broken ladder, it tells you that the assets that were available are no longer available, and you will have to wait for other opportunities. A full ladder is telling you that it’s time. The opportunities are there, so don’t waste time and grab them. If you see yourself climbing a ladder, it tells you that you will soon reach your objectives. You are progressing in society.